Zoysia is a warm-season grass that grows well in poor soil conditions. However, plants perform best in ideal growing conditions, and zoysia is no exception. Aerating provides several benefits for zoysia grass, including reducing soil compaction and thatch buildup, especially in areas with clay soil or heavy foot traffic. In spite of these benefits, aerating at the wrong time damages the grass, resulting in poor growth and increased risk of disease. Annual aeration provides best results, although it takes up to three years to obtain maximum benefits. In turf with heavy foot traffic and heavy, clay soil, aerating twice a year produces even better results, suggests University of Missouri Extension. Aerate warm-season grass, including zoysia, in the late spring or summer. Zoysia grass grows quickly during this time, easily filling in aerator holes. Aerating improves the results of several other maintenance tasks commonly performed in turf grass. For example, aerating completed about one month prior to overseeding a lawn increases seed germination. 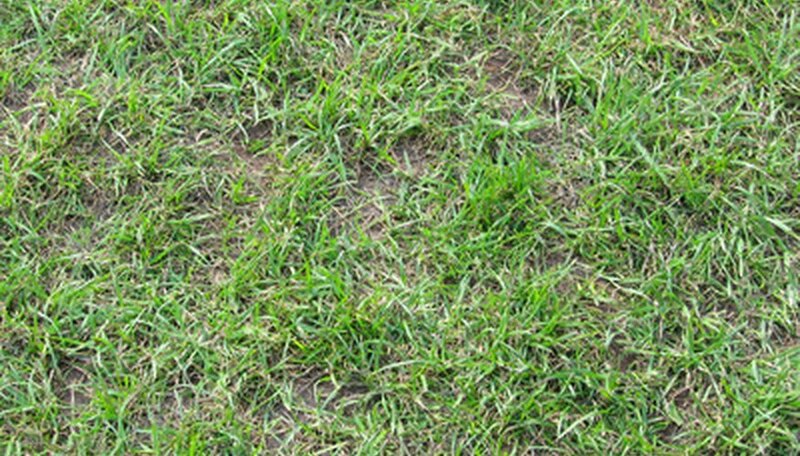 Fertilizing, seeding or applying crabgrass preventers work best when preceded with aerating, according to University of Missouri Extension. Aerate zoysia when soil is moderately moist to ensure adequate penetration depth. Avoid aerating wet soil, which creates a mess and causes further soil compaction. Check for excessively wet conditions by seeing if soil sticks to the soles of your shoes or the tines of the aerator. If so, wait about two days for the soil to dry, suggests Clemson University Extension. Avoid aerating zoysia when dealing with disease problems in the yard. For example, early spring aerating increases the risk of spreading diseases active during this time, such as large patch. Not only do removed cores spread the disease to other areas of the lawn, but aeration early in the spring also weakens the turf, making recovery slower, warns Kansas State University Extension.